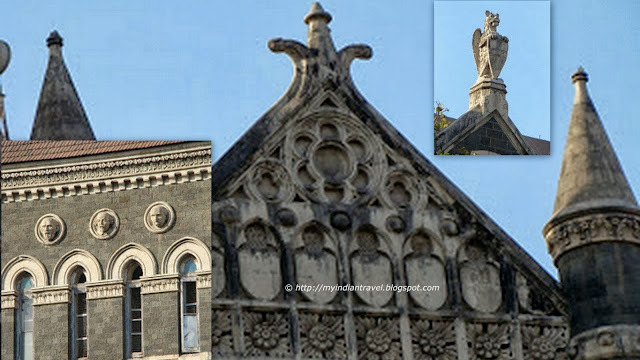 Oriental Building in Mumbai is one of the first buildings to come up in the Fort area. Built in 1885, it initially housed the Cathedral School. In 1893, the building was sold to the Oriental Life Assurance Company. 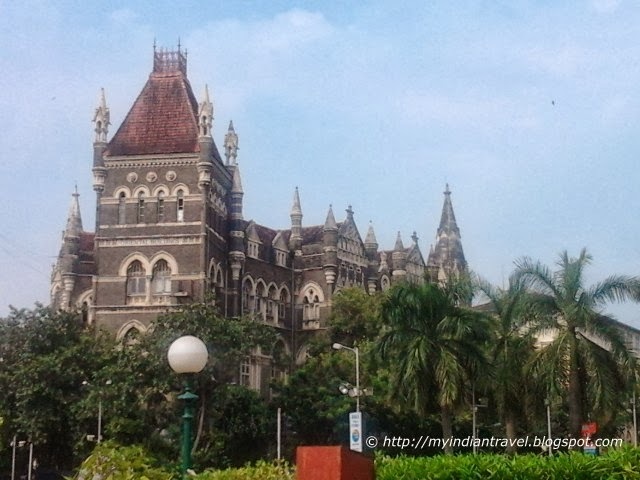 It is a beautiful blend of Gothic and Indian architecture. There are varioyus sculptures on the building that can hold peoples attention. What lovely buildings these are. I wish I could visit there. It looks nice and warm! Yes this is an amazing building - built during the Raj I'm guessing. I love the way you've done your mosaic - what program did you use? 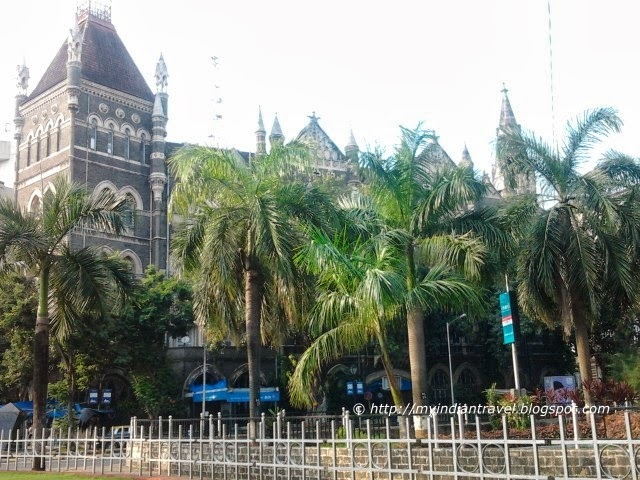 I love Fort, Churchgate and Colaba area too for their old buildings and ancient aura. I could have guessed only an insurance company would have enough money to buy such a gorgeous old building! Such a beautiful building!! Great captures for the day, Rajesh, as always! Have a great week!! I am so amazed to see your wonderful buildings Rajesh..
the architectural details are incredible....always. What a beautiful and ornate building! I like this ancient architecture in the midst of the city, Rajesh. All those spires! Some nice pictures! Excellent building! I wish a good week! What an outstanding building! Gorgeous architecture. Hi Rajesh! It looks like an English building! Very interesting! Most of these colonial buildings are now government offices or banks. They should do some restoration with the money they have! I am continually impressed with the wonderful architecture in your city - great photos. Beautiful ornamentation on the Oriental building. That is spectacular, it looks like a palace. Love your photos each week - makes me want to visit every place. Wonderful detail. Looks a wonderful place to visit. Beautiful picture and very interesting information about a building. Thanks.